The Court of Appeal sitting in Kebbi on Friday found Dakingari guilty of N1.6bn fraud and overruled an earlier judgment of the state High Court which discharged and acquitted him on 20 counts of conspiracy and obtaining by false pretence preferred against him and one other by the Economic and Financial Crimes Commission. The court, therefore, sentenced him to seven years imprisonment each on 10 of the counts preferred against him. He, among other things, used his office as the state’s Accountant-General for personal enrichment to the tune of N1.6bn. Dakingari was charged alongside Musa Yusuf, the Managing Director, Beal Construction Nigeria Limited, company owned by him (Dakingari) and used in award various contracts to himself. 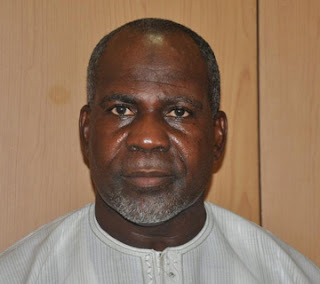 Findings by the EFCC at the Corporate Affairs Commission showed that Mohammed Bashir Mohammed, Anwal Sadat and Nasir Mohammed, all sons of the Accountant-General, and two of his brothers – Abdullah Mohammed and Habibu Mohammed – are directors of the company. The construction company operates two accounts at EcoBank and Unity Bank with Dakingari and Yusuf as signatories to the accounts. The EFCC discovered that Dakingari had two signatures, one in his official capacity as Accountant-General of the state and the other as the owner of Beal Construction Company Limited. In a statement on its Facebook page, the EFCC said, “Analysis of the accounts revealed a total credit of N1.3bn between May 2012 and September 2013, with most of the receipts coming from the Office of the Accountant-General and the Kebbi State Ministry of Finance. 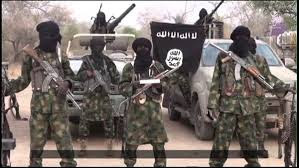 “Some of the contracts executed for the state for which Beal Construction Company received huge payments included the supply of furniture to 66 secondary schools in Kebbi State valued at N987m; the connection of water and drainage system at Kebbi Central Mosque valued at N110m and the building and partitioning of Mohammed Maira Secondary School valued at N247m. “Upon the conclusion of the investigation, the EFCC filed a 20-count of conspiracy, obtaining by false pretence and abuse of office against Dakingari and Yusuf. “The trial court in its determination of the case convicted and sentenced Yusuf to six months imprisonment while it discharged and acquitted Dakingari. “Dissatisfied, the EFCC approached the Court of Appeal asking it to set aside the judgment of the lower court and convict Dakingari as charged. The appellate court in its well-considered judgment allowed the appeal by the EFCC, convicted and sentenced Dakingari to seven years imprisonment each on 10 of the counts preferred against him by the anti-graft agency. The sentence is, however, to run concurrently.